What’s next for Bad Cat Chris? When I started this blog over six months ago, I said I would tell his story from the beginning. I knew eventually I would catch up to the present and that time has come. I am sure I missed some stories along the way and if I remember them I will relate them to you, but for now, I will tell of Chris’s misadventures as they happen. I have thought about what I want to do in the future. I have two ideas that I could perhaps tie together. First, I have thought for some time about starting an animal welfare organization. The thought came to me around the end of 2008, give or take six months. It hit me after I heard about one of the stray cats that my sister-in-law, Felice, takes care of. Someone apparently poisoned this cat and she had to spend $500 of her own money to save its life. She is not wealthy but spends money to feed, fix and keep these animals healthy. I thought, if we could start a non-profit organization, than some of that burden could be helped by donations. Even if we got no donations, except for our own money that we put into it, at least it would be tax-deductible. The start-up cost was an issue at first and then I moved to South Carolina. When I moved back in 2010 I was unemployed for three months and then under employed for another six months. Eventually, by the beginning of the year I had the $400 I thought I would need to start the organization. I even filled out the form at LegalZoom but something prompted me to investigate the IRS requirements. I had done so earlier but missed the fact that they charge a $400 application fee for tax-exempt status. This put the idea on hold until that $400 was spent on something else. I am still considering it, if Felice is still interested, and perhaps I will actually do something in a couple of months. My second thought was to write an e-book about Bad Cat Chris. I have already written his story, I just need to merge some of the articles and expand upon some others. If I can put it together in a cohesive way and spend the time necessary to make it a quality story (not that it isn’t already), I think I could sell a few books. I would put it on Kindle first and perhaps sell it for around $2.99. At that price I would get a 70% royalty ( kindle gives 70% for books priced 2.99 to 9.99 and 30% for all others). If I use the royalties, at least at first, to fund my first idea, maybe each would help the other. Right now there is not enough people who know about Bad Cat Chris for any real success, but I am working to get the word out. Any help from my readers would be much appreciated. Any advice you can share would also be appreciated. You can also help by “liking” Chris on his facebook page (facebook.com/badcatchris) or following him on Twitter (twitter.com/BadCatChris). Now since that is out of the way, let’s talk about Chris. 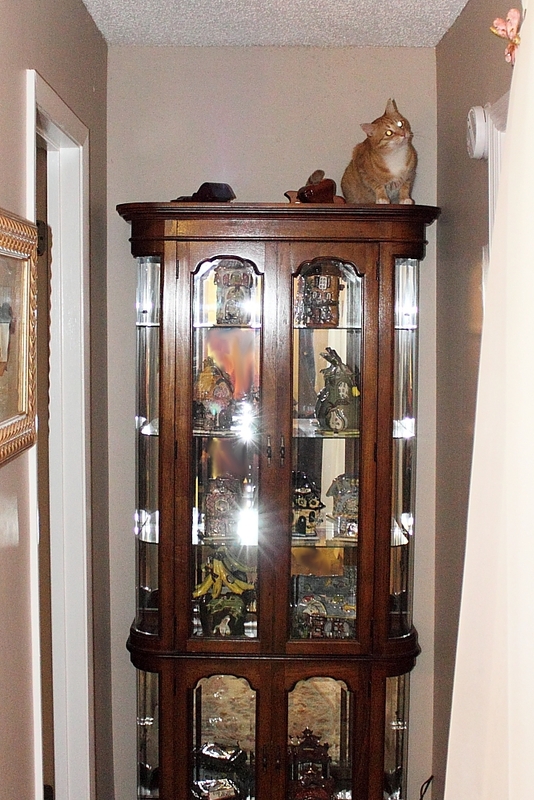 He jumped up on the curio cabinet again. I first talked about this in the story Chris Takes the High Ground. I am so worried that the force of his jump will cause the cabinet to rock and fall over. If that happens the damage would be great but my biggest worry is that he could be crushed by it. I also uploaded a new video to YouTube. This was taken with my phone so the quality is less than perfect but it is worth watching. I uploaded this to my old channel youtube.com/animallaughs instead of Chris’s channel youtube.com/badcatchris because Chris is not the main part of the video. I may get a video camera for Christmas (if I stay off the naughty list) so we can see Chris in full HD. I can’t wait. 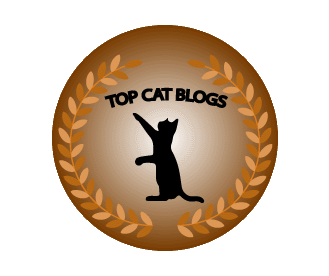 This entry was posted in Uncategorized and tagged Bad Cat, cat, chris, e-book, facebook, kindle, LegalZoom, Nonprofit organization, Twitter, YouTube on December 15, 2012 by Charles Huss.